Winter lingers on, and we’re still feeling its icy grip. 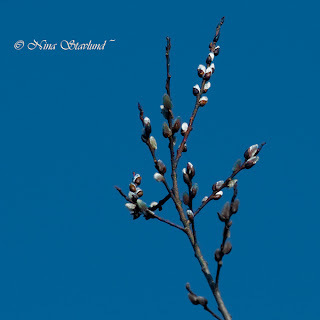 Nevertheless, birds are arriving, buds are blooming and Crocus’s are seeing the light of day. And, we are out there watching it all happen. We explored the Jack Pine Trail on Saturday and as all the chickadees and nuthatches were on territory preparing for the breeding season the trail itself was very quiet. But, there are always birds which demand to be fed. Even the Chipmunks popped up after winters hibernation looking at you with their cute little faces. The ice covered ponds have slowly cracked open inviting all manner of waterfowl. Northern Cardinals are singing their beautiful song from the tree tops while Brown Creepers run up the tree-trunks searching for food. Their high pitched ‘sree’ note rings throughout the forest. Everywhere along the trail, American Robins and Red-winged Blackbirds are in a constant choir with Blue Jays. A trail hike is absolutely refreshing and soul soothing. After the excursion Saturday, Tony and I stopped along the Ottawa River. We had a great time playing with some Ring-billed Gulls which left their autograph on my jacket. 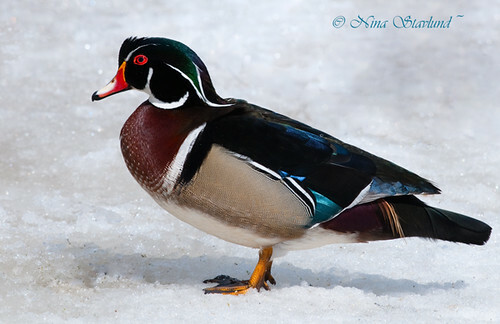 I also finally got to photograph the ever-so-magnificent Wood Duck. 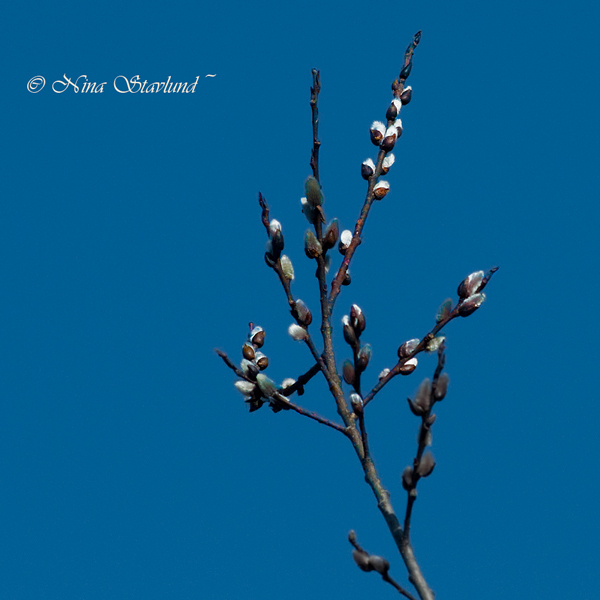 At the beginning of April, almost all the winter birds have left us. A few redpolls are still flying around. And on Sunday in Britannia we were surprised with a flock of 30 Bohemian Waxwings. We also had an early adult Black-crowned Night Heron, in addition to an adult Coopers Hawk. 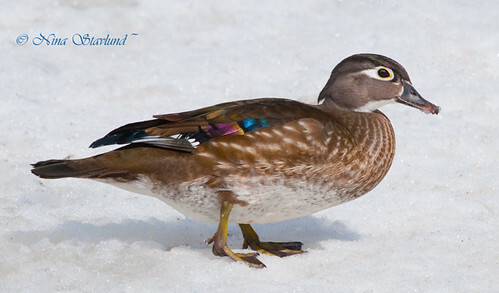 The Ottawa River is opening up fast, bearing promises of bird action on the water. We can’t wait! Song Sparrows are flying from shrub to shrub along the shoreline while American Goldfinches are getting more and more yellow each day that passes. We are on the brim of an explosion of life, not only avian, but all life forms. 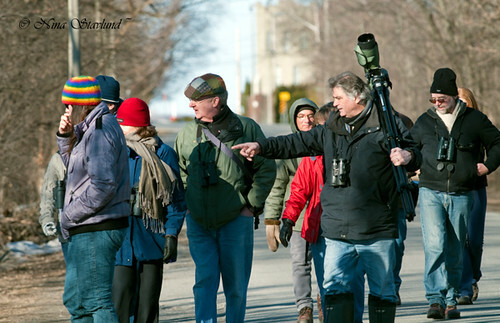 It's great hearing from you Lin, and if you ever come to Ottawa, we simply have to go birding together. We'll stay in touch for sure.